North New Mexico is littered with quality trout streams and while the Pecos River doesn’t harbor the most trophy fish in the state, it’s stuffed with catchable rainbows throughout the spring, summer and fall. 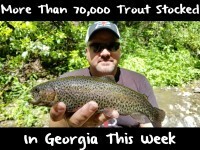 It’s a great place to catch lots of trout. New Mexico Game & Fish does an excellent job keeping the number of planted trout in the river high in order to accommodate the large number of anglers that frequent this stream in the Santa Fe National Forest. With more than a dozen miles of fishable water it didn’t take long to discover this fishery’s popularity. The Pecos reminds me a lot of California’s Eastern Sierra. Lots of fish are stocked weekly. Lots of fish are caught weekly. And, while most of the trout range from nine-10 inches, there’s always a few stocked trophy fish available. The stream is mostly filled with rainbows, but wild browns are available. Being spring, the Pecos was still running high from runoff. However, water levels should be subsiding rapidly. Snowpack was below normal this year. 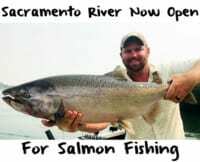 Regardless, the river will be in good shape and loaded with trout now through summer. While Green Label and Premium salmon eggs have been used by the truckload in this area for nearly a half-century, we didn’t pack a single jar of them. Instead, we chose to employ our new generation of eggs, most notably Orange Deluxe and Yellow Jackets. Fortunately, it didn’t take long for the trout to respond. My friends Joe Vallejos and Duane Inglin each caught and released limits of rainbows, and a few browns, on Orange Deluxe in the first hole we fished, just downstream of Cowles. Moving a few miles downriver we put the Orange Deluxe away and switched to Yellow Jackets. It didn’t take long to catch and release another limit of small 10-inch planters. Meanwhile, the biggest surprise was the number of wild browns we caught and released on them. The browns grabbed the yellow salmon eggs on nearly every drift, and while they weren’t very large, they sure exhibited incredible, vibrant colors. If you want to catch browns, Yellow Jackets are the way to go. We had other waters to fish on this weekday and opted to make one more stop and pitch a few eggs where the Mora River meets the Pecos. This stop was reserved for Gold Label, our big, king salmon eggs with glitter. While we didn’t catch anything of size we did land and release trout, all rainbows, every few casts. The Pecos River is the perfect candidate for pitching salmon eggs. With small runs, deep pools, lots of pocket water and tons of undercut banks, it’s the ideal stream for drifting salmon eggs and catching big numbers of trout. 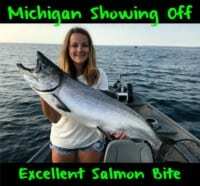 Use two-pound test, a single BB split-shot, a single salmon egg hook and natural color eggs, and you’ll leave catching and releasing limits of rainbows, too. Editor’s Note: Chris Shaffer is the Director of Operations at Pautzke Bait. On this trip he wore sweatshirts from University of New Mexico – and New Mexico State and recommends eating at Maria’s in Santa Fe for good, local New Mexico style food.